Plans to raze the rustic Main Street Theater building in the Excelsior are in the works. 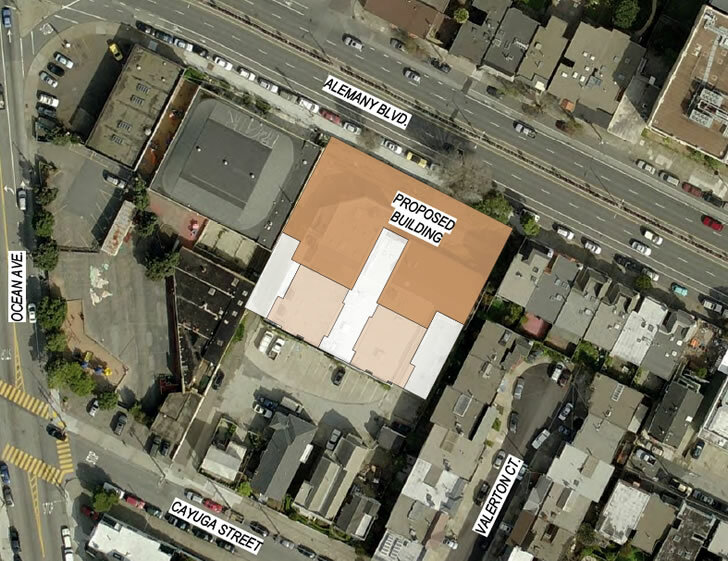 And as envisioned, a four-story development with 103 residential units will rise across the 915 Cayuga Avenue site, which extends to Alemany Boulevard, behind the Little Bear School campus at 65 Ocean Avenue (which is being redeveloped as well). 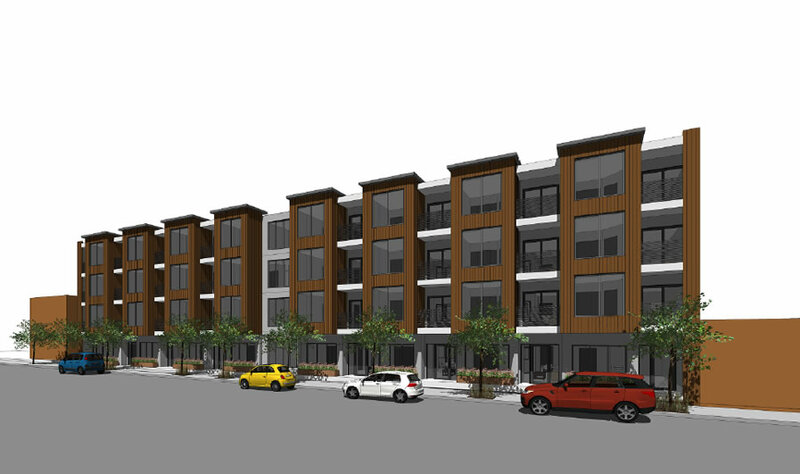 The project as proposed would effectively front Alemany and includes a mix of 21 studios, 13 one-bedrooms, 61 two-bedrooms and 8 three-bedrooms over a basement garage for 103 cars (the driveway to which would be by way of Cayuga). We’ll keep you posted and plugged-in as the preliminary plans progress. 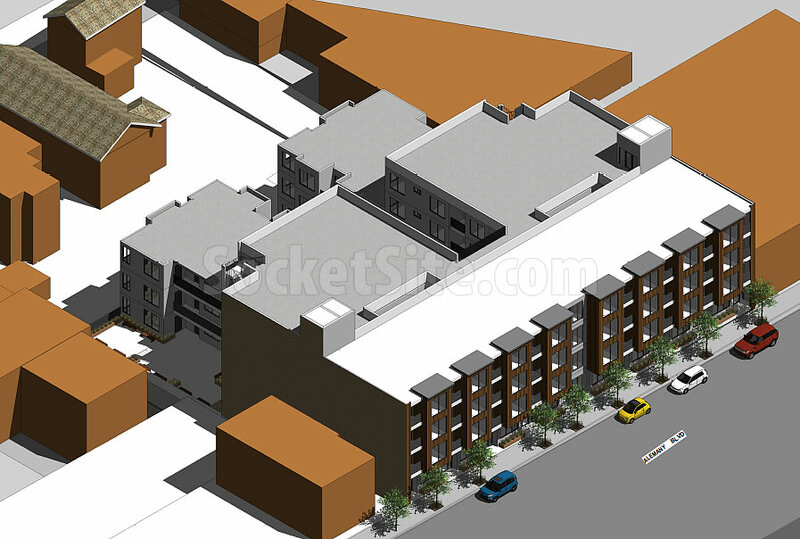 So glad to see more density coming to the Mission-Geneva-Ocean Ave triangle. 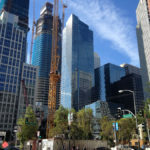 This has the potential to invigorate small businesses and restaurants on Mission Street and create a true center for the Excelsior & Outer Mission neighborhoods. Question is can they re-skin some of the older larger housing above the community well building and other sites, where stucco clad was over-used along the Mission corridor.